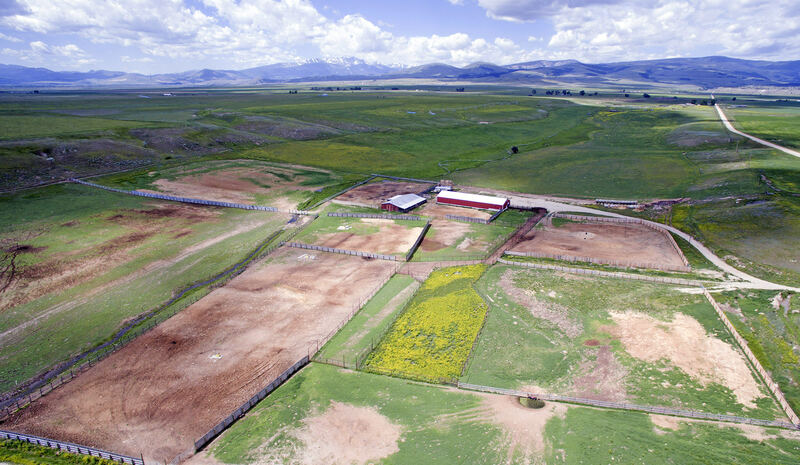 In a valley of long-standing family ranches, the R Bar N Ranch – Racetrack Unit provides an opportunity to run a quality commercial or purebred cattle operation in historic cattle country. This is a producing ranch with all the components for maximum forage production. 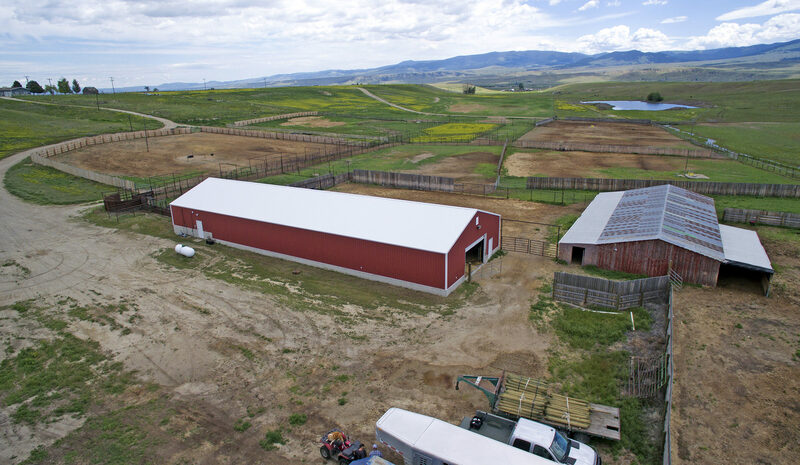 The current owners have implemented practical improvements and upgrades that have resulted in an overall increase in the Ranch’s productivity. The Seller estimates that the Racetrack Unit could comfortably run about 300 pairs on a year-round basis. 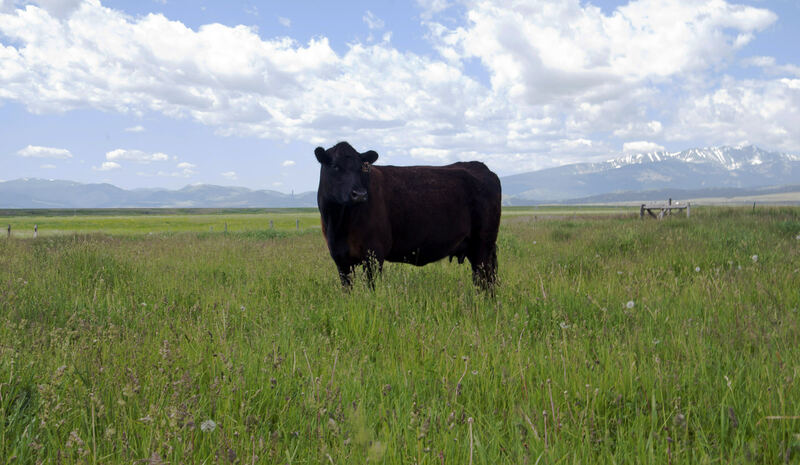 Dependent on management, the Ranch could also yield significant hay yields providing ample hay tonnage to carry the cattle through the winter months and allow for a solid revenue stream with surplus hay sales. The R Bar N Ranch - Racetrack Unit contains 1,108± deeded acres of which about 823± acres are irrigated with solid senior water rights. The productive irrigated fields combined with solid spring and summer grass provides flexibility to grow small grains, potatoes or hay on a portion of the irrigated-base property while still generating ample hay for the cattle operation. The working corrals are steel-pipe construction and work cattle easily. 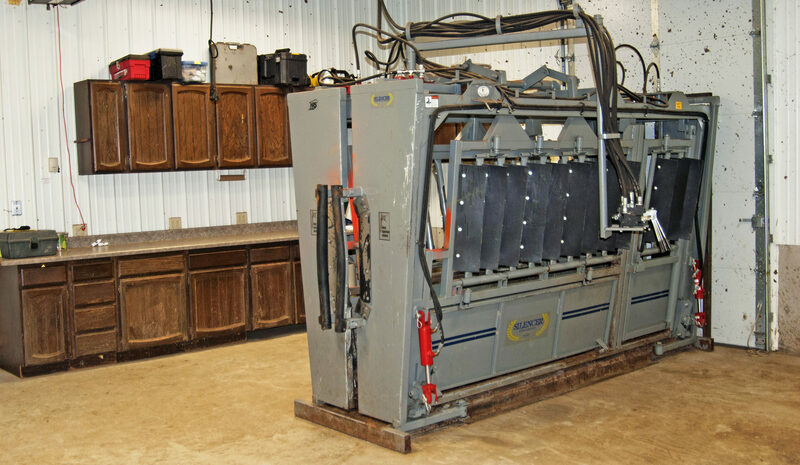 The Sellers recently added an additional working alley, loading chute and portable scale system to the working corral system – all constructed in continuous pipe. The heated indoor facility housing the Silencer chute was constructed for embryo transfer work and is immaculately kept – a truly impressive set of working improvements! Pride of ownership shows throughout the Ranch – the new owner will not be burdened with repairs or clean up. This is a must see for an operator looking to relocate to a proven area with consistent moisture and good soils in a solid agricultural community. 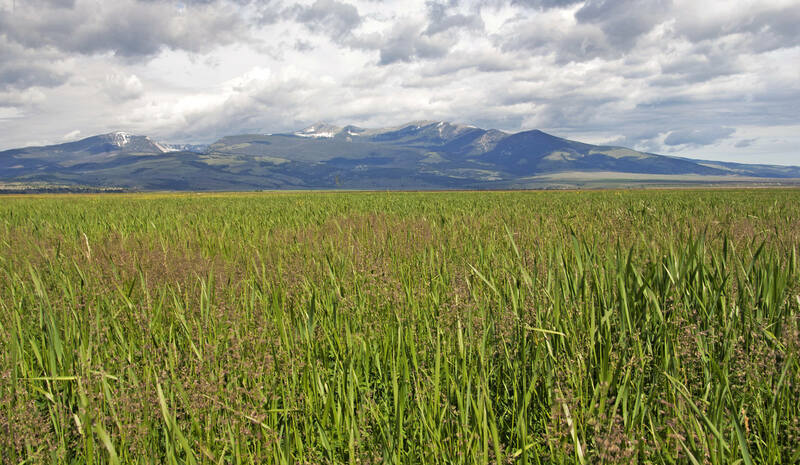 Western Montana ranch operations such as this are becoming difficult to find in today’s market. This is a turn-key operation that is ready to operate immediately upon possession by the new owner. Please Contact Listing Broker Mike Swan in our Bozeman Office for Additional Information. Located about 1.7 miles north of Galen and just less than ten miles south of Deer Lodge, the Racetrack Unit is easily accessible from Interstate 90 via Yellowstone Trail Road and Bowman Lane. The closest services are in the city of Deer Lodge, the county seat of Powell County, with a population of just over 3,000. Many churches, museums, a progressive business community along with the recent downtown-beautification project enhance the balanced and healthy lifestyle of Deer Lodge. An excellent elementary- and high-school system, the Pre-K through 12th grade public schools offers a 14 to 1 student to teacher ratio with quality teachers and good parent involvement. The high school is categorized as a Class B school and provides a great learning environment and competitive interscholastic athletic programs. For private aircraft, fuel service is available at the Deer Lodge – Powell County Airport located four miles west of Deer Lodge City Center. At an elevation of 4,688 feet, the 5,800 foot asphalt runway is in good condition and can be contacted on CTAF frequency 122.9. Anaconda’s Bowman Field Airport (3U3) provides two asphalt runways that are in fair to good condition. The airport sits at an elevation of 5,030´ above sea level and can be contacted on CTAF frequency 122.80. The airport is suitable for private aircraft and is easily accessible. Additional information is available on their website: http://www.airnav.com/airport/3U3. The Racetrack Unit contains a total of 1,108± deeded acres, of which about 823± acres under irrigation. On a stand-alone basis, the Seller estimates that the Racetrack Unit could comfortably run about 300 pairs on a year-round basis. Dependent on management, the Unit could also yield significant hay yields annually providing ample hay tonnage to carry the cattle through the winter months and allowing for a solid revenue stream with surplus hay sales. Calving season on the Ranch typically begins in late January and winds up in late February. Weaning of the calves typically takes place early October. The cows are kept on the hay meadows and dry lots through the winter months and calving season. In this part of Montana, a general rule of thumb is to have enough hay on hand to feed two to two-and-a-half tons of hay per cow to get through the winter months and calving season. Of course, this also depends on the severity of the winter and amount of fall re-growth on the hay fields. Historically around mid-May, 200 pairs were trailed to the Summer Unit, located about three miles east of the Racetrack Unit, where cattle would graze on the early spring pasture until the mid-June turn-on date to the USFS Permit. The Summer Unit and USFS Permit is available for purchase as a separate offering. Contact our Bozeman office for more information. However, it is the Seller’s intent to utilize the irrigated pasture on the Racetrack Unit to summer those cattle which would have historically utilized the Summer Unit and USFS Permit. In mid to late October, the calves are weaned and processed. At weaning the steers typically weigh between 550-600 pounds and the heifers run between 525-575 pounds. After weaning, the dry cows spend the remainder of the fall and into December on the irrigated ground until calving season. 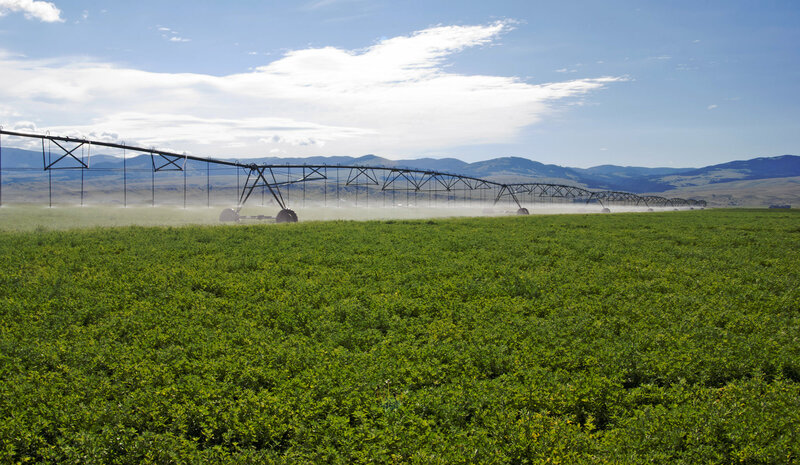 With a consistent soil profile throughout the irrigated acres, the silty loam under pivot irrigation has historically yielded around four tons of alfalfa hay per acre on two cuttings, which may vary depending on whether the new owner chooses to fertilize or not. With a consistent fertilizer program, the Seller is confident these fields would yield an additional ¾ to a ton of forage per acre. The hay fields have been rotated about every six to eight years with potatoes – a testimony to the quality of soil and quality of water rights controlled by the Ranch. This may be one of the largest and best irrigated operations in the Deer Lodge Valley! Irrigation water is provided from Racetrack Creek through a concrete ditch from the diversion point on Racetrack Creek, which is about four miles away, to the Ranch. Maintenance cost on the ditch is typically about $1,000 per year or when work is needed. The seven Zimmatic pivot systems were installed in 2006. Three pump banks serve the six pivot systems and one wheel-line system with rotating screens on each pump. All improvements on the Ranch, including interior and perimeter fencing, are in excellent condition. Functional and well maintained, the next owners will not be paying for unneeded or tasteless improvements. Constructed in 1982, the home appears to be in very good repair and has been well maintained. The house is heated with gas forced air and can be supplemented by an attractive rock fireplace with a wood burning stove with fans on the main level. The main level has an open floor plan with a large kitchen area with linoleum flooring opening up to a living/dining room area that is carpeted. The kitchen contains Kenmore double ovens, a Kenmore dishwasher and a JennAir stove top. The large sliding-glass door off of the dining room area opens up to a spacious covered deck facing east. The main floor contains two good-sized bedrooms that share a full bathroom with double sinks. The master bedroom, also on the main floor, has a full bathroom as well. A small office space is located just off the entry from the garage. Completely remodeled in 2015, the finished basement contains a bedroom, a full bathroom, large storage area, craft area and an area for the washer and dryer. The remaining square footage is an open recreational room/family room. The basement is heated by propane Goodman gas-forced air and has an electric hot-water heater. The oversize two-car garage, which was added on to the original structure in 2006, easily fits two long-bed four-door pickups. The house is served by a separate well and septic system. The well at the house also serves as a backup well for the cattle facilities. A small sauna house is situated a very short walk from the Main House. Complete with a shower and wash area, it is a great place to warm up on a cold winter evening. The yard is nicely landscaped and has an underground sprinkler system. Utilized for salt and mineral storage, the 16´ x 33´ log building has a concrete foundation and a green tin roof. The 40´ x 70´ pole barn, constructed in 2010, has a concrete floor and apron in the front half of the structure. This insulated building has an 18´ x 14´ sliding front door. Used for equipment storage, the building appears to be in excellent repair. The calving facilities and working corrals are located about a quarter of a mile to the south of the main house. Highlighted by the 42´ x 122´ calving shed, this facility is complete with a Silencer chute. Located inside the calving shed, the fully insulated 20´ x 42´ “Vet Shack” room with a concrete floor is heated with propane over-head radiant heat, has hot and cold water and a full-length floor drain. The remaining area of the calving shed is strawed down during calving season during extreme weather conditions. A 10´ x 14´ roll up door is located on the opposite end of the building. Built in 2006, the working alley system and holding pens are all continuous steel-pipe fencing. All holding pens are served by Thermal Sink waterers and are fully lit by halogen commercial-grade flood lights. About 56´ x 60´, this structure contains a Foremost head catch, maternity pens and twelve calving jugs. The calving barn also has a warming room with a cold-water spicket. With a tin roof and wood construction, this is an older building but in good repair and very functional. On the south side of the calving barn are several large pens to hold heavy cows. When necessary, these heavies can be easily brought into either calving facility. Otherwise, cows and heifers calve out in the surrounding calving pens. Two wells are located near the working facilities. The Seller wanted to create a redundant watering system for the cattle facilities. Located in the pump house, a transfer valve can be turned and the backup system can be utilized in the rare case of well failure. The main floor of this Boise-Cascade home contains two bedrooms and two full bathrooms. A full basement, which was remodeled and updated in 2008, contains two additional bedrooms, a small bedroom/office area and a full bathroom. A sun room, located on the north side of the house, provides a very nice additional living space. The large double-car garage was added onto the house in 2006. A new roof was installed in the fall of 2016. The house is heated with electric baseboard heat and by a fuel-oil stove, and has an electric hot-water heater. The house is on a separate well and septic system. The yard is nicely landscaped and has an underground sprinkler system. This fully-insulated building, which serves as the working shop for the Racetrack and Summer Units, has a concrete floor, propane-gas heat, hot and cold water bibs and a full-length floor drain. The Red Shop also has two newer roll-up doors, 16´ x 14´ and 14´x 12´, providing good access for large equipment. The elevation gain on R Bar N Racetrack Unit is approximately 215 feet with the highest point just over 4,900 feet above sea level on the west portion of the Ranch and the lowest point of 4,690 feet on the east side. The average annual precipitation is 11 inches. The area’s average frost-free growing season is approximately 54 days with the last spring frost around July 1st and the first fall frost at the end of August. Average maximum temperatures in June, July and August range from 71° to 80° Fahrenheit. In December, January and February average maximum temperatures are between 32° and 38° Fahrenheit. Summer nights average about 43° Fahrenheit. Winter average minimum is between 9° and 17° Fahrenheit. This is an area that receives a good amount of sunshine throughout the year with an average of 186 sunny days. 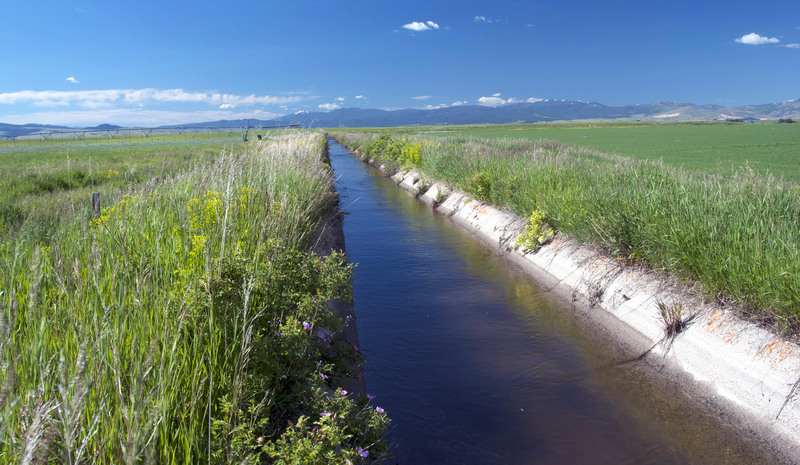 A complete water rights summary is available by downloading the offering brochure or contacting our Bozeman office via phone 406.522.7342 or email . The Seller pays about $300.00 per month for their share of the Ditch Rider. The amount of water available typically dictates when the Ditch Rider begins monitoring water flows. In 2016, the water fees for the Racetrack Unit were $1,500. The Sellers will convey with the Property 100% of whatever mineral, oil, gas, geo-thermal, hydro-carbon and gravel rights they actually own, subject to reservations by previous owners. The Sellers make no representation as to the quantity or quality of any mineral or other sub-surface rights appurtenant to R Bar N Ranch. Electricity is provided through Northwestern Energy. Telephone service is provided via CenturyLink and internet is available via RF Wave based in Anaconda. Bulk propane is provided by PSI. Trash service is available through Anaconda Disposal. There is good cell-phone coverage available throughout the Ranch. The real estate taxes for 2016 for the Racetrack Unit were approximately $9,000. The Sellers hereby make known that there may be variations between the deeded property lines and the location of the existing fence boundary lines on R Bar N Ranch. The Sellers make no warranties with regard to the location of the fence lines in relationship to the deeded property lines, nor do the Sellers make any warranties or representations with regard to specific acreage within the fenced property lines. The Sellers are selling R Bar N Ranch in its “as is-where is” condition which includes the location of the fences as they now exist. Boundaries shown on any accompanying maps are approximate. The maps are not to scale and are for visual aid only. The accuracy of the maps and information portrayed thereon is not guaranteed nor warranted. Deer Lodge County offers a plethora of fishing and hunting, golfing, boating, skiing as well as other winter-time activities. Deer Lodge National Forest contains more than 1,000 miles of fishing streams, 140 lakes, 629 of miles trails, and 43,629 acres of wilderness. Georgetown Lake is approximately 3,700 acres and offers year-round activities. This blue ribbon fishery is home to trophy-sized rainbow and brook trout, as well as kokanee salmon. Ice fishing is also popular in the winter. Boating, jet skiing and canoeing or kayaking are all options to cool off after an adventurous hike or mountain bike ride on the countless trails surrounding the lake. The Big Hole River, a world-renowned trout fishery, is one of only a few free-flowing rivers remaining in the West. A major tributary of the Missouri River, the Big Hole River flows through the heart of the Deerlodge National Forest and offers a full menu of fly-fishing experiences. There are four golf courses within an hour of R Bar N Ranch. The Deer Park Golf Course, with majestic Mount Powell as a backdrop is located approximately 2 miles west of Deer Lodge. This public course is a 3,200 yard 9-hole layout and offers plenty of challenges, along with beautiful scenery. The private Rock Creek Cattle Company boasts one of Tom Doak’s finest private golf courses as its centerpiece. The course has won numerous awards including Links Magazine – Listed in the 100 Most Prestigious Private Golf Courses In The World – 2013, as well as multiple awards from Golfweek including #1 Best Residential Golf Course. The 9-hole Anaconda Country Club opened in 1918 is well maintained and very reasonably priced. The Old Works Golf Club – A Jack Nicklaus Course offers 18 holes and has continually been ranked as one of the best courses in Montana. Within two hours of the Ranch there are two downhill snow-sport mountains. Discovery Ski Area, just west of Anaconda, is a great family ski hill offering diverse terrain for all levels of skiing and snowboarding. From the 67 runs with 2,100 patrolled acres of skiing you can enjoy the stunning vista overlooking Georgetown Lake. Great Divide ski area offers 140 trails and six terrain parks spread out over three mountain peaks and three distinct valleys on an area covering 1,600 acres and miles of winter entertainment. Horse racing in Montana was initiated by American Indians as early as the 1700s in what is now the small town of Racetrack. According to historians, Indians raced their ponies along its straightaway. Several settlers in the Deer Lodge Valley, including Johnny Grant, Morgan Evans, and banker S. E. Larabie, began to raise blooded racehorses for running races under saddle and Standardbreds for trotting races under harness. The race circuit rotated through most of the mining towns. Always in search of entertainment, miners made wagers on races that took place on the streets of mining camps that served as early racetracks. Willow Brook, a racing farm near Deer Lodge was established by Larabie in 1880. Although his training stables were in Lexington, Kentucky, his famous horses were all bred in Montana. In the 1880s, racetracks in Butte and Anaconda were recognized on a national scale, in part due to Marcus Daly's famous thoroughbred racers and standardbred trotters. Trainers, jockeys and drivers came from all over the country to race there. Several Montana-bred racehorses made the national circuits, with many of them taking first places in national high-stakes races. 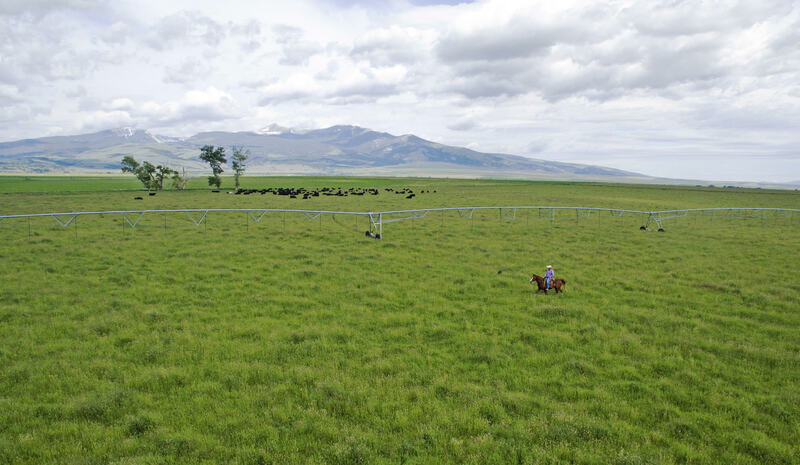 Balanced operations in Southwest Montana are rare in today’s land market, especially one with the versatility and productivity of the R Bar N Ranch – Racetrack Unit. The Ranch allows for several operating scenarios providing maximum flexibility in today’s uncertain commodities market. A new owner could operate the Ranch as a high-yield hay-and-grain operation supplemented with a portion of the farmland under potatoes; or with the size, scope and condition of the Ranch, all of the necessary components are furnished to run as a successful commercial or purebred cattle operation. The value and productivity of western ranches is directly tied to the water rights associated with them. 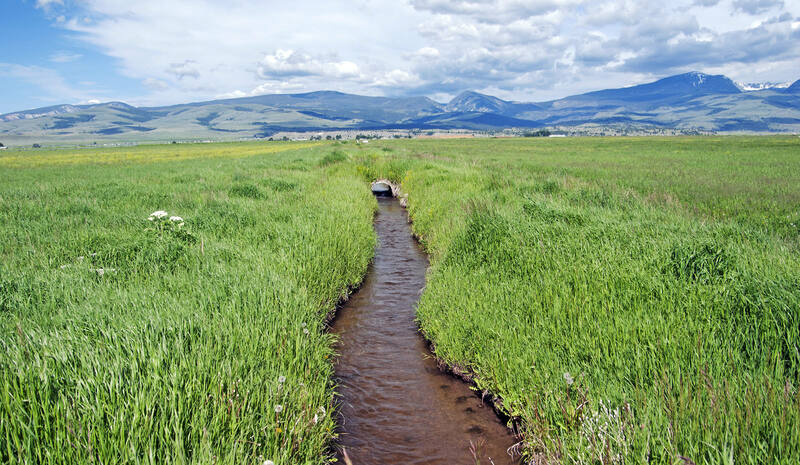 The Racetrack Unit not only has some of the earliest water rights on a well-managed resource, Racetrack Creek, it also has the quantity of water to ensure a solid irrigating season and quality crops. 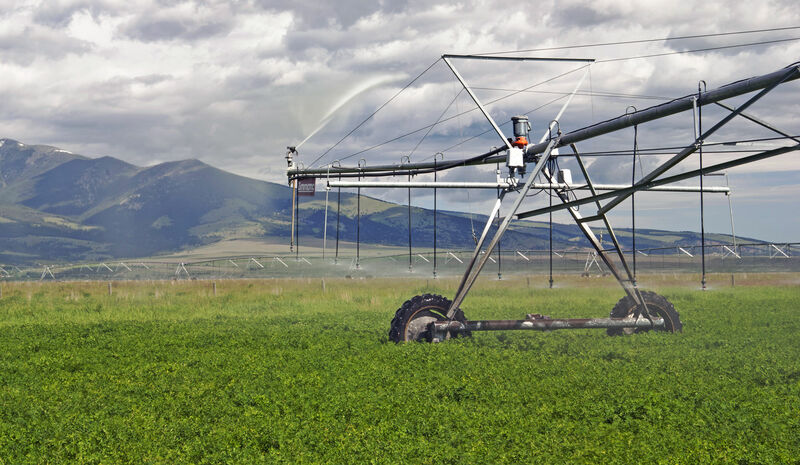 According to the Seller, all pivots can be operated continuously throughout the growing season. 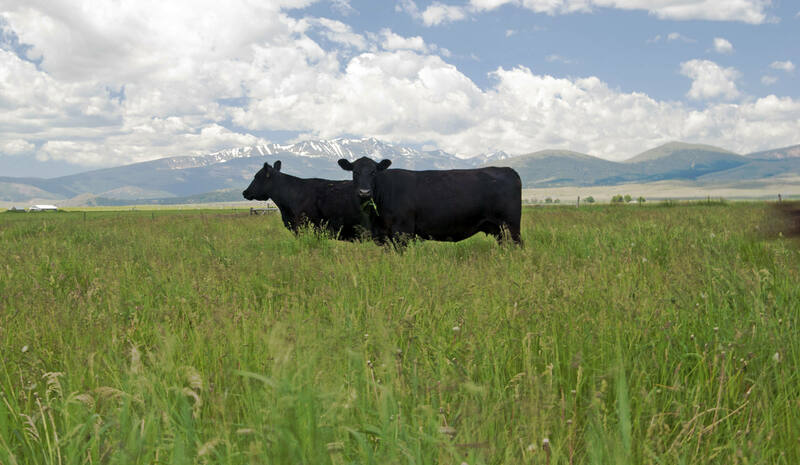 Those who have tracked ranch values in Southwest Montana for the past several years will find the Ranch’s offering price to be very competitive in today’s market. The pride of ownership is evident as you roll up the driveway to the improvements – well-maintained fence lines, freshly painted buildings and virtually no deferred maintenance. 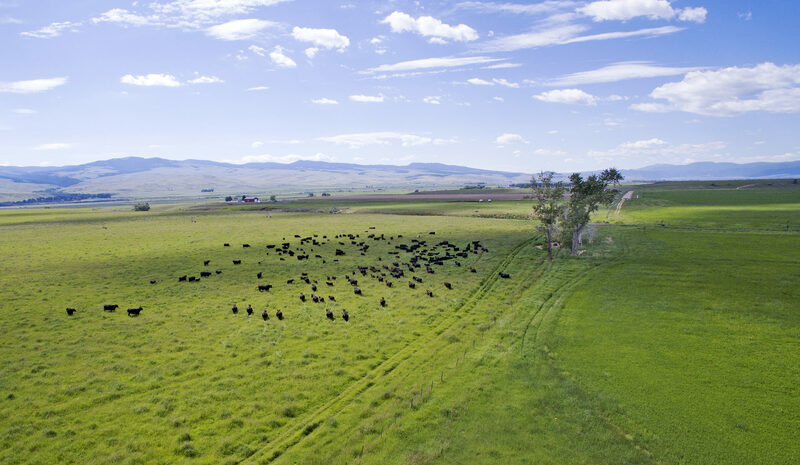 The Ranch is a must see for producers looking for consistent water and grass in one of Montana’s classic ranching communities. A buyer may be asked to cooperate in the timing of a closing in order to accommodate the Seller’s executing an IRC 1031 Tax Deferred Exchange. All of the Ranch’s water rights will be transferred to the Purchaser and all of the mineral rights which the Sellers actually own will be conveyed to the Purchaser at Closing. Buyers’ Brokers Are Welcome and Cordially Invited to Contact Mike Swan For Information Regarding Cooperation Policies and Commission Splits.